Helen Juanita Chamblee Driver, 88, passed away on Tuesday, November 6, 2018 at Renaissance Care Home in Wake Forest. Helen was born on March 30, 1930 in Nash County to the late Violet Jane Chamblee Tant. Helen attended Ferrells School and graduated from Middlesex High School where she met her beloved husband, the late Jessie Dewey Driver. The high school sweethearts married on January 1, 1949, after Jessie’s return from serving in the US Army at the end of World War II. In the earlier years of their marriage, Helen worked for the Department of Motor Vehicles in Raleigh. After the birth of their children, Helen was dedicated to providing a loving home for her family. Jessie’s work as a licensed optician took their family to Charleston and Charlotte and in 2002 Helen and Jessie moved back to the old Driver home, where she became involved with Lee’s Chapel Baptist Church and the VFW Auxiliary. 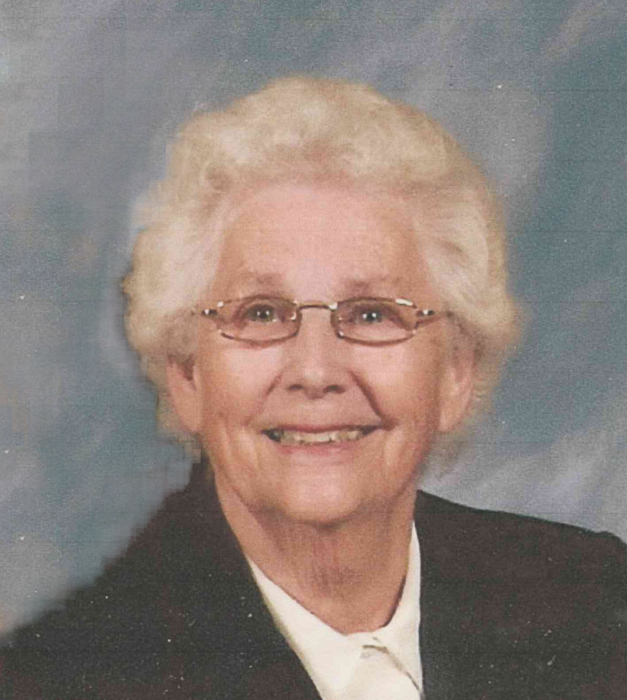 Helen’s greatest joy was spending time with her grandchildren and her great-grands. Her hobbies included decorating her home, cooking, gardening and sewing, especially soft baby blankets she shared with so many. Those left to cherish Helen’s memory are her daughter, Linda Driver Sossamon (Ron) of Indian Trial; her son, Joel Dee Driver of Zebulon; grandchildren: Shelley Sossamon Smith (David), Julie Sossamon Edwards (Heath), Andrew Pierce Driver and six great-grandchildren. In addition to her mother and loving husband, Helen was preceded in death by her brother, James Raeford Tant. A celebration of Helen’s life will be held at 3:00 pm, Thursday, November 8, 2018 at Lee’s Chapel Baptist Church, 14551 Taylors Mill Road, Middlesex, NC 27557. The Driver family will receive relatives and friends prior to the service from 1:00 to 2:45 pm, Thursday, November 8, 2018 at the church. In lieu of flowers, memorial contributions may be made to Lee’s Chapel Baptist Church.